DreamHost is very well-known web hosting provider which offers fastest wordpress hosting, free SSL, domain name, SSD Hosting and much more. Their SSD based servers are 200% faster than any other. DreamHost is a web hosting company providing affordable solutions for all type of businesses ranging from individual users to enterprises. It is officially recommended host by WordPress developers to start a WP powered website. There are many hosts out there but choosing the right one sometimes becomes tricky. Don’t you worry this DreamHost Review will help you decide whether its worth it or not? DreamHost is one of the leading hosting company serving customers all around the world for the last couple of decades, managing millions of websites and domains under their management. I recommend them if reliability, security and fastest loading speeds are the main concern for ones. I know how difficult it is to stumble on the right web hosting these days. Every year a number of new providers sprout up out of the blue. And, that makes the job for us, the digital marketers and bloggers, challenging. Don’t worry! I am on a mission to make you aware of all the features, pros, and cons of hosting providers. That is why I have shared some web hosting reviews here on MyTipsHub to help you find the best one. You might have read some reviews here already. 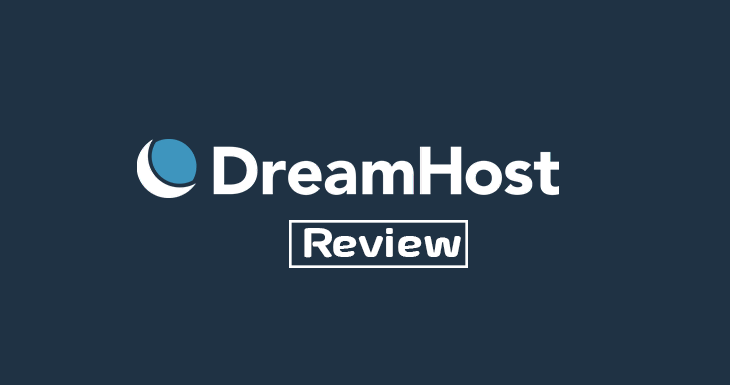 Now, here is another helpful article in which I am going to share DreamHost review and all the stuff you should know. If you have been in digital marketing or blogging field for a while, you might have heard of DreamHost many times. Being started back in 1996 Claremont – California by Michael Rodriguez, Dallas Bethune, Sage Weil, and Josh Jones. DreamHost has come a long way as a renowned web hosting company that everybody knows. The company is owned by New Dream Network, LLC and started hosting websites in 1997. Right now, Dream Host is empowering more than 1.5 million websites on their servers and also an award-winning hosting company. And in 2016 it is awarded as the best customer service provider. The core hosting plans divided among Shared, VPS, Cloud, Managed WordPress, and Dedicated Hosting. All the plans come with SSD based hard drives and 100% server uptime. Along with hosting packages, DreamHost also offers domain name registration, even stands as a “top registrar” in our list here. You can grab your .com domain just at $13.95/year with a FREE whois guard. But the question is, are they worth the hype? Can they outperform other providers available today? Let’s just find out. I have divided this DreamHost review into two parts in which you get all the specification information at first and, service details later. So, are you ready to explore the features of DreamHost? 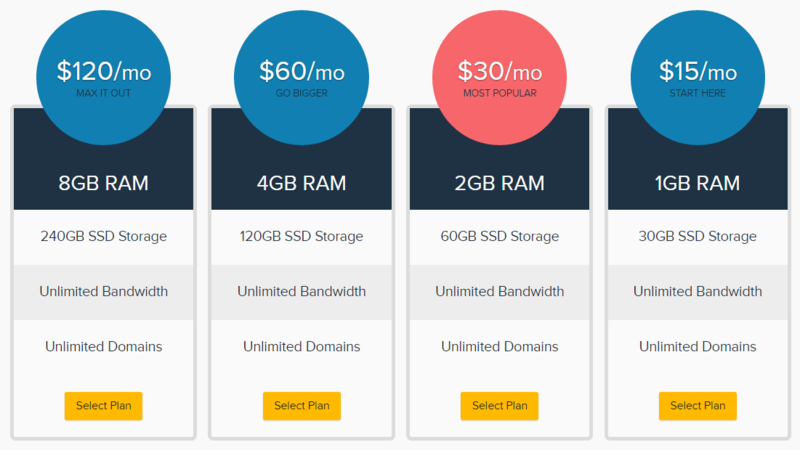 The following are the features you get once you purchase a hosting plan of DreamHost. Based on the plan you take, the features may vary. Over the years of my digital marketing journey, I found out the truth that there’s nothing fancy about unlimited storage. But still, a lot of fellow marketers and website owners weigh the quality of a web hosting company by checking whether they have unlimited storage or not. So yeah! DreamHost offers unlimited storage with their shared hosting package. You know it’s not feasible when you upgrade to higher plans like cloud and dedicated servers; don’t you? The term bandwidth refers to the data transfer taking place in-and-out of your website per month. DreamHost is generous enough not to put a limitation on any of their hosting types. No matter you choose any hosting (shared, cloud, WP or dedicated), the bandwidth remains unlimited that your website will never go down to the oblivion even for a moment. Being a webmaster, you need to gather multiple services. Let’s say hosting, domain, SSL, and maybe cloud storage too. You will definitely feel exhausted to switch between different platforms to manage all the services even for a single project. Don’t worry! DreamHost has simplified it for you. You can manage all the web hosting needs and domain from their dashboard. And, they can intensify your online influence by providing you with SSL and cloud storage too. Now, take hosting. You know a shared hosting plan is not enough for a website with a million monthly hits. But we purchase the same when starting up due to the lack of traffic. Once the website achieves authority, you will feel disappointed not to purchase for a higher plan due to the outrageous traffic. DreamHost features Shared, Managed WP, VPS, Dedicated, and Cloud web hosting that you can upgrade whenever you want. And under each type, you will find different packages as well. The same goes on with domain services too. You can choose any TLD you like for the regular price. (Hey, I have happy news for you. Check out the next subhead to know it 🙂 ). A top level (.com, .net, .org) costs about $12 a year. One may think it is higher or lower based on the hosting he is going to buy. 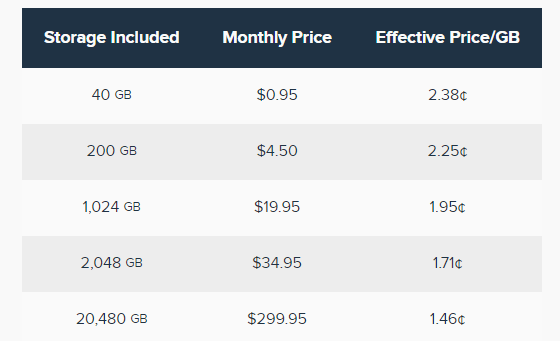 For a person who wants to buy a shared hosting plan, $12 is a good amount. But it’s like peanuts for people looking for dedicated servers to buy. That’s why DreamHost gives a free top level domain with every shared hosting plan. They know how customers think. I have double checked all their hosting packages and found out the free domain offering is not available elsewhere. It is worth noting that you get the free domain for only a year. Considering the fact that proper planning makes a website profitable within six months, you will not find it difficult to pay the domain bill for the second year. Almost all of us try to pull the maximum out of something we purchase, right? DreamHost’s unlimited domain hosting favors us in this regard. As some hosting providers allow you to have one website hosted with the one purchase, DH’s unlimited domain hosting capability lets you have as many websites as you want under the same hosting account. It saves you extra expenses and, brings the comfort of managing all your sites under one roof. Having a professional email address has become mandatory now. People lend ears to something like [email protected] rather than [email protected] Yeah, every hosting provider that I know of provides custom business email addresses for free with their shared hosting plan. DreamHost does it too! But they give you unlimited branded email addresses so that you can assign emails to all your team members associated with every project. Do you want to develop an e-commerce site? Or you like to have any online purchase feature on your website? Then, you must be extra vigilant during the process of web host selection because it ‘s hard for an ordinary person to know how secure it is to trigger payment info via a particular provider’s server. That’s where PCI compliance comes into play. If you see a website with PCI (Payment Card Industry) compliant, you need to understand that it is safe to make an online payment with. The point is DreamHost is PCI compliant. They protect card data of users coming through the websites by the right obedience of the public security standards. Are you still confused with the term PCI compliance? Check this guide out and gather more info. 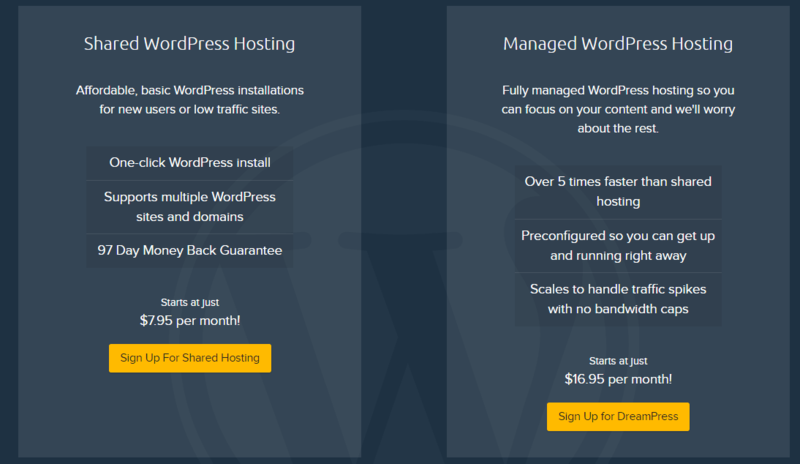 Are you a beginner with no experience in setting up a wordpress website using a web host? That brings up another reason to choose DreamHost. They provide website setup at no cost. The hosting experts (humans) of DH team help you with the setting up process that you don’t have to get your hands filthy with unnecessary errors in the configuration. I have searched for free website migration. But, couldn’t find the same! Maybe they included it behind the term free website setup. If you are looking forward to starting a regular website, domain privacy protection may not seem appealing to you. But as a blogger, you know its importance I believe. You might have visited many sites whose owner information can’t be traced out from there. About us, author info, contact us, nothing! You can’t see anything that points to reach out to the owner. When you see such a website, it is clear that the owner doesn’t want to reveal the identity. Still, there is a loophole called who.is details. No matter a person puts his identity on a website or not, you can find out who registered that domain using the free who.is details searching tools available on the web. What if you want to block that too? Well, there comes the role of domain privacy protection. Some web hosts call it as DNS protection as well. If you purchase it for a domain, no one can trace out the owner of a domain irrespective of what tool (including who.is) they use. DreamHost offers domain privacy protection for free. N.B.- Check the cost of DNS security on other web hosts and, you will realize its cost. Do you know the importance of having a unique IP address? Let’s say you purchased a shared hosting plan in which the resources are equally divided among all the websites present on the server. Once any of them gets affected by any means, your site will also suffer from the same issue. You get a common IP for your entire server that once the IP is blocked, all the websites hosted there (including yours) go down. The unique IP address is a solution for such issues. Even if the common IP gets flagged, your site will not go down since it has own IP. DreamHost’s control panel features a direct option to grab a dedicated IP. And, that makes the integration seamless and easy to get through. Do you like visiting a slow loading website? Neither do I! I know every internet user likes to be on faster websites. They don’t wait more than five seconds on a site to get it loaded. Hence, it is important for any website owner to keep the loading time as low as possible. DreamHost provides Solid State Drive aka SSD hosting with every plan. Means, your data will be stored on SSDs, which load, process and transfer data than the usual SATA hard drives. The best thing about the feature is it doesn’t cost you anything extra. You pay the regular fees and, receive the faster SSD hosting. No strings attached! Secure Socket Layer certificate is a method of end-to-end website encryption that adds an https prefix to the URL of any website. You might have already noticed the prefix many times. TLS (Transport Layer Certificate) was the first to hit in the website encryption segment. And now, we call both TLS and SSL by only one name, SSL. DreamHost provides both of them for free for lifetime. Yeah, you heard it right! You can add https prefix to the domain of your website painlessly without going through a series of sweaty tasks. The SSL certificates from DreamHost are powered by a new security company, Let’s Encrypt. Though the company provides the certificate only for 60 days, DH renews the subscription regularly that you won’t notice its expiration. Not every hosting provider stick to their promise. So we may feel disappointed for making the wrong choice at times. When you feel the same about DreamHost, you can request for a refund using their 97 days money back guarantee. I have reviewed quite a lot web hosts in the past. But it’s the first time I see more than three months of duration for the money back policy. Unfortunately, they mentioned money back guarantee under shared hosting only. But it’s something that worth considering while choosing the hosting company. Why will a cheap quality hosting company provide such a prolong money back guarantee period? You get three channels to reach out to the customer support team of DreamHost; email, Twitter, and live chat. In order to comply with the clock all over the world, they are available 24x7x365 days to help you with any issue. Whenever you think you need guidance, don’t hesitate to ping them up. They will respond without making you waited for much time. Don’t you know how to install CMSs manually? Don’t worry! DreamHost has a one-click script installer, supporting WordPress, Joomla and a number of content management systems, which has made the installation easier by simplifying the process into two simple steps. Launch the installer, choose the CMS and boom! Hackers are getting smarter every day by inventing new methods to peek into websites. So, it’s your duty to secure your site with cutting-edge tools not to see an unusual ‘Hacked By’ badge. That’s why DreamHost performs malware scans regularly without making you aware of it. They scan your entire website, and you will know only when something malicious comes up. The malware scanning provided by StopTheHacker that includes a set of unbeatable tools to protect a site. Are you a blogger? Or do you at least have a medium to share your thoughts? If that’s a YES, you must join DreamHost’s affiliate program that provides at least $30 for a mere shared hosting plan. The higher the plan your referral buys, the better your payment will be. But the referral should maintain his account for 97 days to fetch you the money. Their affiliate cookie remains for 30 days on the browser. So, the purchase done within a month after clicking the affiliate link makes them your referral. That’s it! You have read most of their major features. Now, it is the time to have a look at their range of services. For your convenience, I have divided the entire section into several parts like hosting, domain, and cloud. Just like any other hosting provider, DH has a range of different types of web hosting. No, you will not get multiple plans here. DreamHost has only one plan with a free domain, unlimited domains, space, bandwidth, and emails. You will get free whois protection guard, free setup, and SSL certificate too. The pricing varies according to the duration of the service you select. If you go for one year plan, it cost you only $9.95/month. But it falls down to $7.95/month for a three-year plan. In case you want the service for only one month, the payment slightly raises to $10.95/month. Do you want to start a WordPress blog? Then, the best hosting choice would be managed WP hosting from DreamHost. They take your headache away with automatic WP installation, updates and glitches optimization. Two types of WP hosting are present; one, shared and the second, managed (cloud). This plan includes all the features of the shared hosting plan with the righteous optimization for WordPress. The price remains the same $7.95 per month. You’ll be responsible for themes and plugins updates as well as the speed optimization. So, in other words, you have to invest more time in managing your website. Furthermore, if anything went wrong, you have to fix it yourself. Following distractions can affect your blogging productivity. And The fully managed WP hosting package leaves nothing to you. They automatically update everything that you will never feel an urge to do anything than content creation on your blog dashboard. You get 30 GB SSD space for $16.95 per month. The dual VPS server offers the best performance whereas multilayer caching speeds up the loading. If you prefer SSH command line tools, you must use their WP-CLI addition. Do you think shared hosting isn’t your cup of tea and VPS is expensive? Then, cloud hosting is the only choice here. In a cloud hosting plan, you get resources from different servers grouped together to feel like one. The scalability is instant, and it is a pay-as-you-go model. They have three basic plans including the different amount of storage, RAM, and CPU. But the costs are based on what you use. The maximum they charge for cloud hosting is $48 per month for 8GB Ram, 80GB storage, and 4 vCPU’s. Whereas the minimum, $4.5 per month plan includes 512MB Ram, 80GB storage, and 1 vCPU. All the plans come with free bandwidth and 100GB block storage. Virtual Private Server hosting is intermediary when we take both shared and dedicated into consideration. In VPS web hosting, you share servers with others, but its devoted by the fact that others can’t use the slice you get, and your site doesn’t get affected by the performance glitches of the others on the same server. The main server divided virtually into small portions and these virtual CPU portions used by many other users, but they are limited to the specific amount of system resources for which they paid for. So, if someone’s site consumes high resources, it won’t effect other’s websites. Start Here: You get 30 GB storage and 1 GB RAM. As they promised for any plan, the unlimited bandwidth is also there. The cost is $15 per month. You can host multiple domains there as well. Most Popular: For double the price of the first plan ($30), you get 60 GB space and 2 GB RAM. The rest of the features remain the same. Go Bigger: Do you think only 60 GB space and 2 GB of RAM isn’t enough to power up your site? Give Go Bigger a try as you get 120 GB space with 4 GB RAM. But the price is $60 a month. Max It Out: Being the highest plan, they provide 240 GB storage and 8 GB RAM for $120. In case you don’t want extra storage but RAM, the upgrade options can be seen in the control panel. DreamHost doesn’t provide you a plans-based dedicated server hosting. Instead, it offers a configurator, which helps you choose the requirements. Both 4 cores and 12 cores CPUs are available with RAM ranging from 4 GB to 64 GB. The storage options are only two; 1 TB HDD and 240 GB SSD. SSH and full root access ensure maximum control over your servers. DreamHost has no reseller hosting that they think the diversified dedicates servers can be turned into reseller. For a person who deals with a number of online tasks daily needs to subscribe to a cloud storage service. Given the fact that we use multiple devices regularly, it is impossible to keep the same files we use on everything. Subscribing to a cloud storage service enables you to store your files securely on the web to access or regain whenever you want. 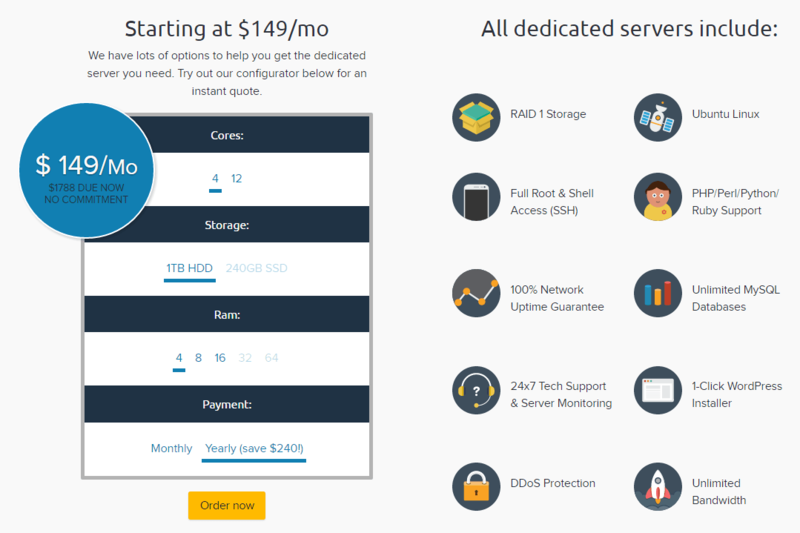 DreamHost’s cloud storage starts from $0.97 per month with a quota of 40 GB. Of course, they have higher plans up to 20480 GB (about 20 TB) that would cost you $299.95 per month. The best part about this is they will not charge for the first month. Don’t you want any of the services mentioned above? What about purchasing a domain with free privacy protection, locking, and subdomains? Yeah, we haven’t gone far from DreamHost yet. No matter you purchase their hosting or not, DreamHost gives free DNS protection for every domain you register through them. Free sub-domains allow you to professionalize your website with customizable URLs. Right now, there are no deals on domains that you need to pay the actual price. But for .xyz, you have to spend only $1.95 (I don’t know if it’s short living or not) and $13.95 for a .com domain. What do you think now? Do the features look appealing? However, you can take a test drive for 97 days period and get your money back in case you don’t love the service (unlikely to happen). If you ask my recommendation, I would say, DreamHost worth using and it is one of my best hosting companies. What are you waiting for? Just use DH and, you will feel the same. Before closing the windows, please give me a favor, Is this review of Dreamhost helped you find the right host?